"Your smile should stand out for the right reasons!" Our goal is to provide you with quality dental care in a friendly, clean, comfortable environment so that you may keep your teeth all of your life. Your well-being is our primary concern. As an individual, you have unique needs, desires, and expectations regarding your oral health and appearance. We are committed to understanding these concerns and, in partnership with you, will strive to develop a long-term plan for comfort, function, health and esthetics appropriate for you. Your mouth, lips, teeth, gums, tongue, cheeks, jaw joints, occlusion(bite), and chewing muscles are all part of a complex, interconnected system. Changes to the teeth can affect other parts of this system. Unfortunately, the most common mistake made in dentistry occurs when treatment is undertaken following a limited exam, resulting in an incomplete diagnosis and a lack of consideration of other problems that may be going on in the mouth and jaws. We believe that obtaining a complete picture of your oral health – through a comprehensive clinical and radiographic examination that includes all parts of your oral cavity is vital. We want to fully understand your oral health prior to starting any treatment – including checking for issues such as oral cancer and other abnormalities. By developing an individualized treatment plan, we are better able to provide you with a healthy, comfortable, functional, aesthetic, and long-lasting dentition. With this comprehensive approach, we not only restore your teeth in harmony with your jaw joint and chewing muscles, we also take a proactive approach to the prevention of dental disease (cavities, gum disease, occlusal disease), ensuring your mouth is healthy for life. Delivering such high-quality dental care requires time, effort, teamwork, a well-educated dental team, the best dental materials, excellent dental laboratory support, and meticulous attention to detail. At Edgemont Dental Care, the procedures, materials and technology used in the care of your teeth are researched for safety, effectiveness, and long-term durability. Modern aesthetic dentistry came give you the smile you’ve always wanted. Whether you desire to simply brighten your smile, remove dark metal fillings or crowns, or give yourself a complete dental makeover, our goal is to provide you with the skill and technique to meet your wishes come true. In the past, individuals missing teeth had limited options. Today, thanks to dental implant solutions, those with concerns about their appearance and dental health no longer have to live without a beautiful smile! 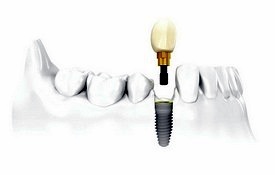 Dental implants allow the replacement of one to several missing teeth. Imagine straightening your teeth without the metal brackets and wires. 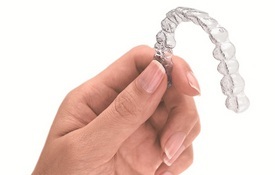 Invisalign takes a modern approach to straightening teeth, using a custom-made series of aligners specifically created for you. The best part about the whole process is that most people won’t even know you’re straightening your teeth! Edgemont Dental Care is located in North Vancouver’s quaint Edgemont Village shopping area. Our office is designed to provide a comfortable, safe environment for the delivery of high quality dental care. What you’ll find at Edgemont Dental Care is a team of individuals that loves what they do. This pride in practice is reflected in their patient care. The advantages of Digital radiography are many-fold and benefit not only our office, but our patients and the environment as well. Digital x-rays requires less radiation and do not require chemical processing. When dental emergencies arise, Edgemont Dental Care is here for you. Whether during or after regular office hours, Dr. Varda will be happy to see you into the office as soon as possible. Our goal is to make sure that you are at ease, reassured, and pain-free when you leave. Your dental office in the heart of Edgemont Village.